The sugar industry in the U.S. thrives at a whopping $100 billion in annual revenue. That is because Americans consume an average of 150 lbs of sugar per year. Most people are aware of the adverse effects of excessive sugar consumption such as obesity, diabetes, and cancer. However, what is known as well-known is that high sugar intake leads to nutrient deficiency. Excessive sugar intake was shown to deplete and reduce the absorption of essential vitamins and minerals needed by the body. The human body can synthesize vitamin C on its own, but eating too much sugar limits the beneficial effects of the vitamin. Sugar and vitamin C use the same transporters to reach the cells. More sugar in the blood stream means more competition for vitamin C absorption. Increased glucose levels appear to inhibit vitamin C from entering the cells, thereby resulting in limited vitamin absorption. Sugar-induced vitamin C deficiency may result in suppressed tissue regeneration and decreased immune function. Vitamin D, another important nutrient, can also fall prey to sugar’s unwanted effects. Sugar promotes the expression of enzymes that degrade vitamin D, while simultaneously decreasing enzymes needed to synthesize the vitamin. This then results in vitamin D deficiency. Low vitamin levels were tied to various health conditions such as autoimmunity, dementia, and infection as well as inflammation and certain types of cancer. Vitamin D deficiency was more common in regions with the least amount of sunlight. Excessive sugar intake results in high blood sugar levels and increased insulin rates. In turn, higher blood sugar and insulin levels promote magnesium excretion by the kidneys, thereby inhibiting tubular reabsorption of the mineral. This prompts the body to use up its magnesium reserves. Magnesium is essential in certain body functions such as blood sugar control, muscle and nerve regulation, and bone building. Excreting this essential mineral from the body can lead to adverse health effects. Eating too much sugar greatly affects chromium absorption in the body. Similar to magnesium, sugar triggers chromium deficiency by prompting the body to excrete the essential mineral. One study revealed that eating a diet containing 35% sugar leads to a 10% increase in chromium excretion. Chromium is a key mineral the promotes blood glucose control, insulin binding, and macronutient metabolism. Chromium deficiency leads to high blood sugar levels and poor glucose tolerance. Calcium is vital for skeletal health, blood clotting, and electrolyte balance. Vitamin D expedites calcium absorption in the body by regulating calcium transport in the small intestine. Excessive sugar intake was shown to negatively affect vitamin D absorption, which in turn causes a ripple effect to the body’s calcium absorption. 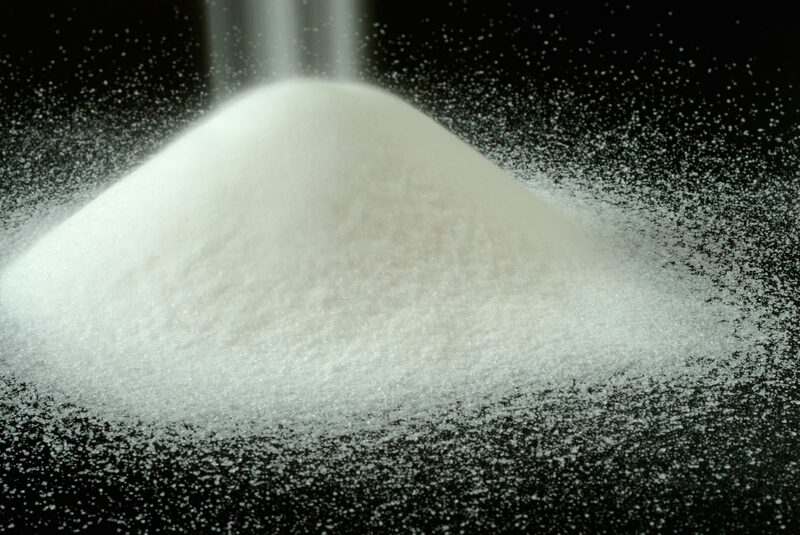 Sugar was also shown to promote calcium excretion by inhibiting tubular reabsorption by the kidneys. Low calcium levels result in unwanted health conditions. People are becoming more aware of the undesirable health consequences of excessive sugar intake through extensive research and information dissemination. Sugar is associated with a host of other damaging reactions. To wit: eating too much sugar leads to suppressed immune function and triggers hyperactivity in children. It may lead to kidney damage, increased blood acidity, and advanced aging. Tooth decay, arthritis, asthma, as well as digestive disorders and candida albicans (a fungus that causes yeast infections) are also among the results of excessive sugar intake. Consuming high amounts of sugar can result in atherosclerosis, eczema, asthma, depression, and free radical formation. Decreased cardiac blood flow, brittle tendons and increased liver and kidney sizes were also among the most hazardous effects of sugar. Follow more news on sugar and other sweeteners at Sweeteners.news.